ALL TRAINS TO ATLANTIC PACIFIC STATION. 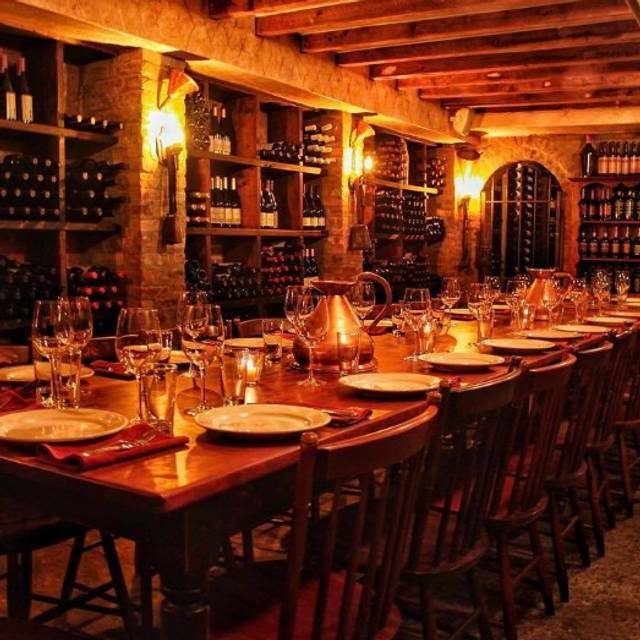 2 AND 3 TO BERGEN ST.
We offer our Wine Cellar, which holds up to 25 guests for private parties. Convivium Osteria is a rustic romantic and transporting Italian restaurant featuring traditional regional cuisine. Our two dining rooms are perfect for large gatherings or small intimate dinners, is the perfect environment to taste authentic cuisine featuring local and organic. You may dine in our wine cellar and select a wine from our list of over 300 wines. Celebrate Mother's Day at Convivium Osteria! We'll be open from 1pm-930pm serving some incredible Specials alongside our regular a la carte menu - treat the most important women in your life to an amazing meal - make your reservations today! Cozy place for dinner with the people you want to talk ) plus, that spinach and cheese pasta is a must ! For such a highly rated restaurant we were surprised that the food was just not great. There are so many nearby Italian restaurants that stand out compared to this spot. The service was very good, but a bit uneven. The wine was good but not great. Ambiance was lovely. Recommended by an Italian friend, quickly turned in our favorite restaurant in NYC. Best Italian food in town, great wine selection. Our meal was lackluster. The restaurant was charming, but not special. 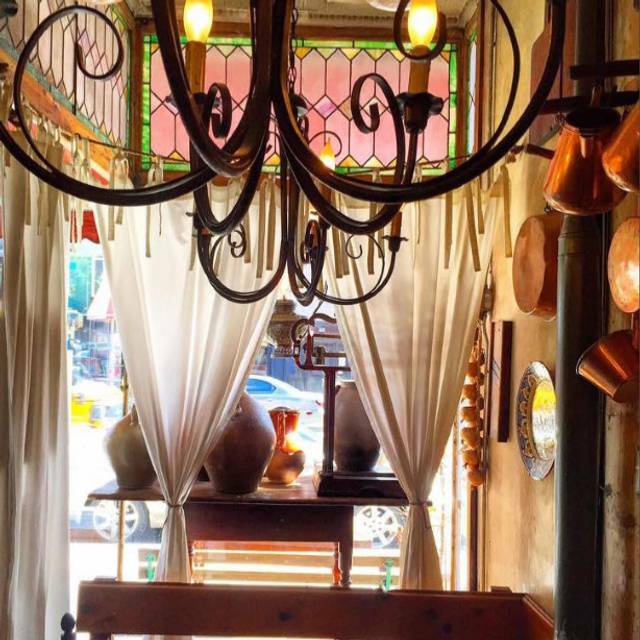 This is one of our favorite restaurants in Park Slope. The menu doesn't change much over time, but the dishes are almost all quite good. Thanks for being so lovely and nice, what a beautiful cozy space. Great old world atmosphere hidden from the busiest part of 5th avenue. service is top notch and unpretentious. Food is excellent, fresh and served in an appetizing and attractive manner. Upon entering the restaurant you are taken away from Brooklyn. The decor and ambiance in here is outstanding. The perfect place for a date or dinner with some friends. We ordered the night's special - oysters in a garlic sauce and to our disappointment not too much garlic - salt and pepper came to the rescue. The sea bass was also light in flavor. The braised artichoke however, had a wonderful sauce - great with bread! And finally our main courses redeemed the entire experience. 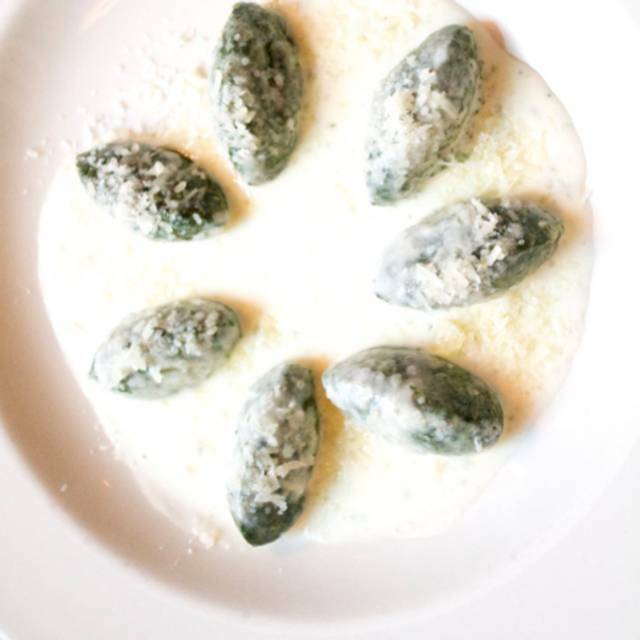 Gnudi di Ricotta e Spinaci & the Squid Ink Linguine both melted in our mouths. Definitely a must try! Can't wait to come back. We are so glad we picked this place for our anniversary. Family owned and run, and you can tell everyone truly cares about your experience. The decor is rustic and warm. I had called the restaurant as it was my girlfriend's birthday and asked to bring a dessert with a candle. Since we stepped into the restaurant we felt completely taken somewhere in Europe. Beautiful and romantic restaurant. We were warmly welcomed and seated right away. My girlfriend and I are both foodies but there were a lot of items in the menu that we didnt know but were amazingly explained. Angel helped us choose our food and recommended their Ravioli with duck ragu and tagliatelle. We also started with a nice polpo and a selection of meats and cheeses. He also helped us choose our wine. We like big wines and he had us try a cabernet sauvignon from napa valley. (Unbelievable wine, i wish i took a picture) overall an amazing experience! My girlfriend and I will certainly return soon. Professional and knowledgeable service and romantic ambiance. Hands downs to you guys ! We took out of town parents out to dinner. They’re from California, and downstairs is NOTHING like what they have at home. There’s a wonderful table for 4 or 5 in an alcove downstairs which felt private but not isolated. The food was spectacular. We all loved everything. Service was attentive and friendly. Nice food, quiet and really good Service - absolutely recommanding! The weather was bad so the restaurant was almost empty. It might normally be more crowded but it was a fantastic dining experience all around. Food was great, we were not rushed, wine selection very good and service was attentive but not hovering. Low-lit, fairly quiet, pleasant ambience with excellent food and service. Love this restaurant. We were given excellent service and delicious food. I always get the Ravioli. Enjoyed the Nero da Avola wine. 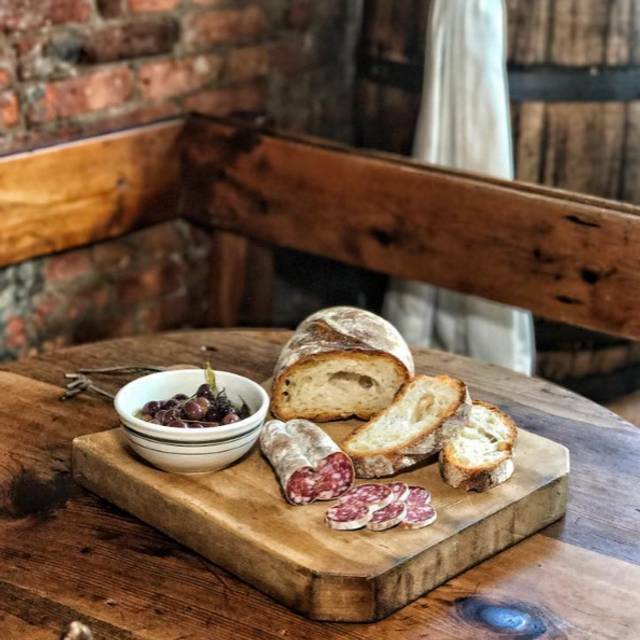 A secret escape in Park Slope that will take you to Italy. 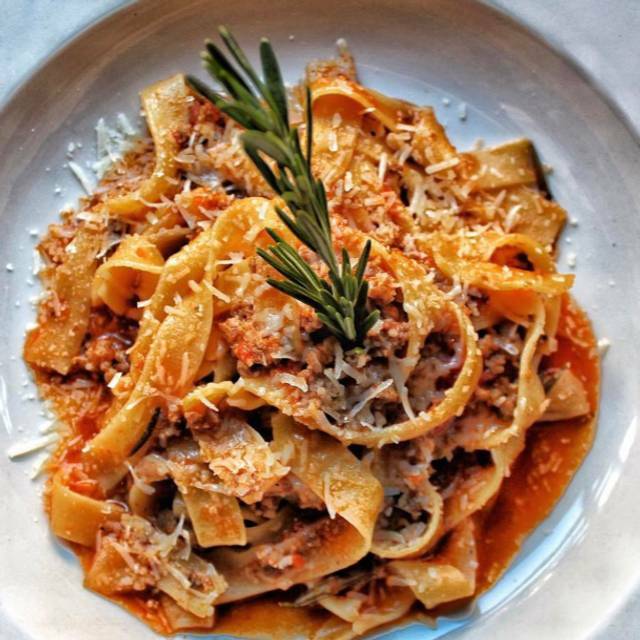 Delicate handmade pastas, a great wine list and cozy setting all add to the charm of the experience. The restaurant didn't honor our 6:15 reservation. They told us to go to the bar a half block away and check back in at 6:30. We finally got seated at 6:50 (that was only because one the members in our group persistently asked the hostess when we could seat). We had a concert to get to at 8:00 and the restaurant was aware of this. When we ordered we were told not to order certain items on the menu because they wouldn't arrive in time. As it was - we didn't get our food until 7:35! And had no time for coffee or dessert. It was a busy night since there was a concert at nearby Barclay Center. There were lots of people standing in the doorway and at the bar waiting, which made things a little uncomfortable. The food was good and servers were nice but they seemed to be a little slammed busy. A small and cosy plot of Italy 🇮🇹 Very delicious food and wine. All in all the very best of Italy in the middle of Brooklyn. Arrived early on my Anniversary and the owners where happy to seat us. Wait was minimal but it was busy. Food was great. Waiter was attentive and recommended a wine tgat they just ran out of so they upgraded our selection. Overall awesome experience. What an unexpected little gem of a restaurant. The food was delicious and the atmosphere was welcoming. We’ll definitely recommend it to all our friends. Went prior to concert on busy night. They were very accommodating when we were running late (train issues). Service was great, not rushed. They didn’t try to get another seating before the concert. I am so glad we finally made it here. Moved to Park Slope over a year ago and have been wanting to eat here. The food was amazing and the interior is so beautiful and cozy in winter. Took my friend for his birthday and he was really thrilled. The faro salad is incredible, as is the Sardinian pasta with the Berkshire sausage. Will definitely take other people for special occasions. It was nice and romantic and different. Didn’t feel like I was in this country! It was pleasant and absolutely doing it again ! Unexpected Italian menu, with touches of Portuguese dishes. Really great flavor in an intimate setting. From the first prosecco to the exquisite tiramisu, the experience was terrific. 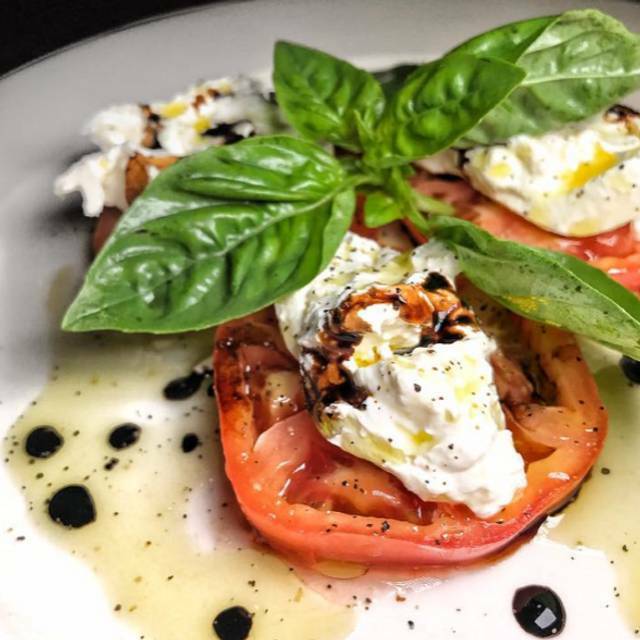 The burrata with heirloom tomatoes had a perfect balance with the balsamic. 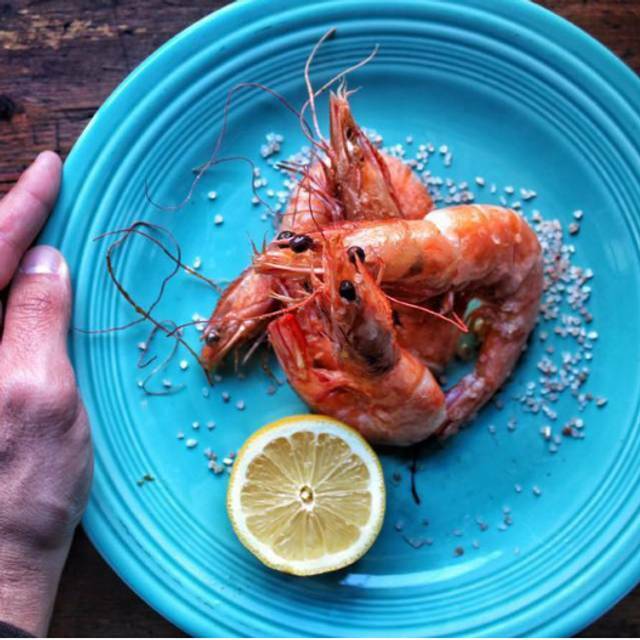 The prawns were delicate and delightfully flavored. The lamb was tender and flavorful with buttery grilled vegetables and the gnudi were rich and perfectly balanced. The wine list was diverse and reasonably priced. A+ family enterprise. Everything was great. Chairs were not comfy though. My family had a wonderful dinner at Convivium on Saturday. 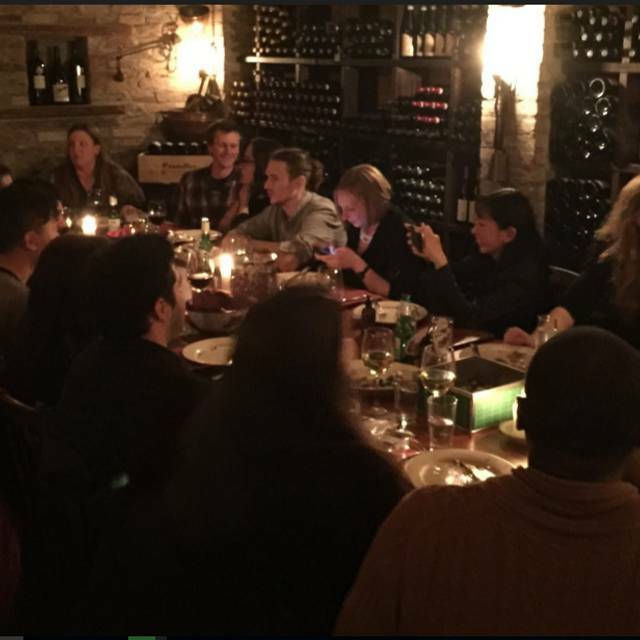 The staff, the food, the wine, the ambiance... all wonderfully in sync for a perfect evening out. I had made a special note requesting a quiet table for my father in law when making the reservation and we were met with that note fully acknowledged and taken in hand prior to seating. Many, many thanks and we can't wait to return. My fiancée and I celebrated our engagement at Convivium. I originally had my doubts on this restaurant based on another review. After reaching out to the restaurant on their website, the owners contacted me and we later spoke on the phone to clear things up. I appreciate that kind of response and am happy that we celebrated here. We made reservations online and our table was ready when we arrived. The ambiance is very comforting and the staff is friendly. 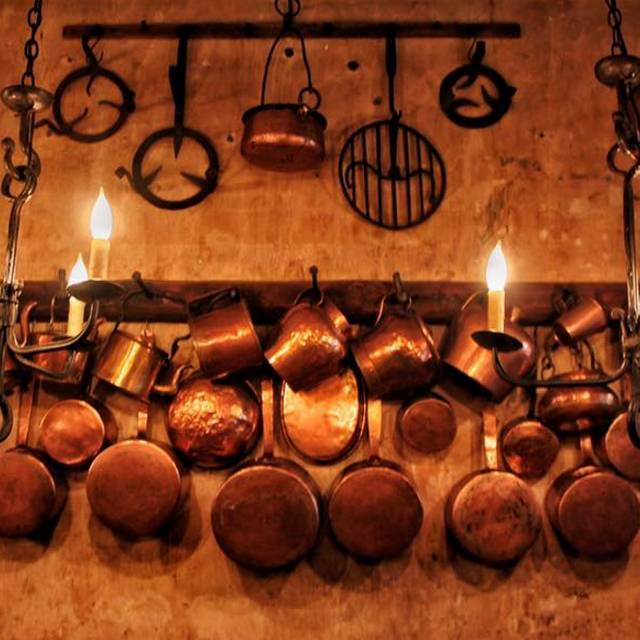 Inside the restaurant, you feel as though you are in an old European village. We started with an organic Montepulciano which was great across the board. Appetizers: we started with the Octupus and the Braised Artichoke. We loved the octopus, though we would not order the artichoke on our future visits as it was a bit heavy on the oil. Pastas: we ordered the Squid Ink Linguini and the Ravioli with Peking Duck Rago. Both were amazing. The ravioli and duck together created an amazing flavor. Dessert: we finished our wine with a generous platter of cheeses which we recommend. Can't wait to go back to try other dishes. The food and atmosphere, as always, was enticing. It’s pricey, but worth it. One of my favorite Park Slope restaurants. Just fabulous. Beautiful decor that takes you to Italy. Great dim lights for dates and family nights. Best restaurant. With all of this, still, the food was the best part! Had the red snapper and the Malloreddus alla campidanese. Very nice staff even when very busy. Will def. visit again!!! Delicious food and large wine list. Good sized portions but waiter could have been a bit more attentive. Food was exquisite, as usual. Our waiter Angel is the best!! Never disappointed and always leave very happy!! Very nice and intimate restaurant for dinner. Unique, healthy and deliciously prepared. Consistent and casual.